The Donetsk club player gave them a masterclass, took part in their training session, and also participated in a two-sided game playing for both sides in turns. In conclusion, Viacheslav invited the young fans together with their parents to support Shakhtar in the encounter with Mariupol and handed them tickets to the Family Club. - I am really happy to be present at the event, -Viacheslav Tankovskyi shared his impressions. 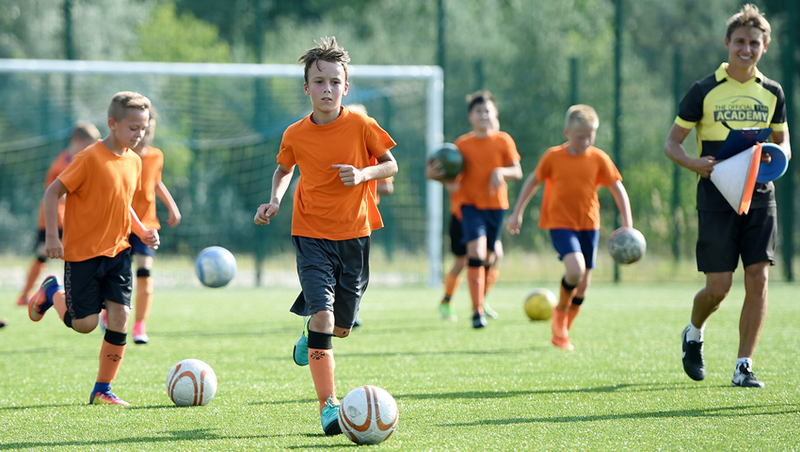 - It is evident that some competent coaches deal with the kids, they know what exercises the kids need. All the talented children dream of becoming famous footballers, but in order to fully develop their capabilities they need to work hard. That's what I wanted to convey to them. - I liked the training session with Viacheslav, - says the children's school pupil Mykyta Ostonovych. – I’ve been engaged in football for six years now. I attended the section for the first time when I was four years old. I very much want, like Tankovskyi, to grow into a great player and to perform at a professional level. - We are happy that Viacheslav Tankovskyi found time to visit our kids, - says the Ball Master school coach Serhii Slyusar. - I consider it a useful experience for us. The player of this level will certainly inspire and motivate the children even more to play football. I'm grateful to Shakhtar for helping us to organize today's meeting.